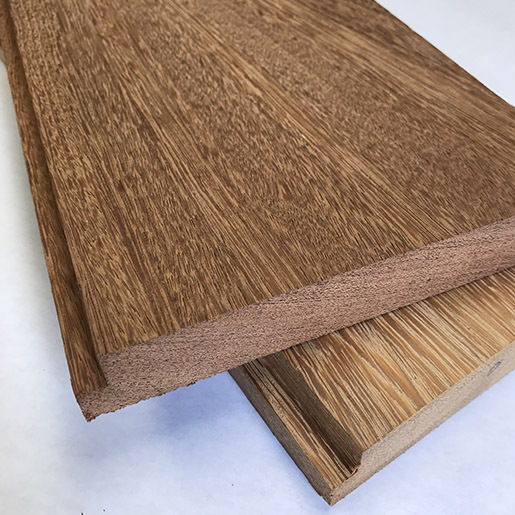 Find product details below for Brazilian Apitong, Angelim Pedra in 1-1/8x5 Shiplap from TrailerDecking.com. 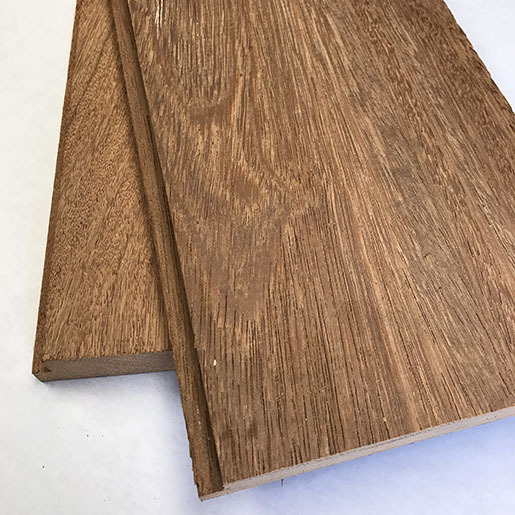 Angelim Pedra, commonly called Brazilian Apitong, is a medium tan color with a defined grain. It has mineral deposits, known as pedras (stone in Portuguese), which is where it gets its name. 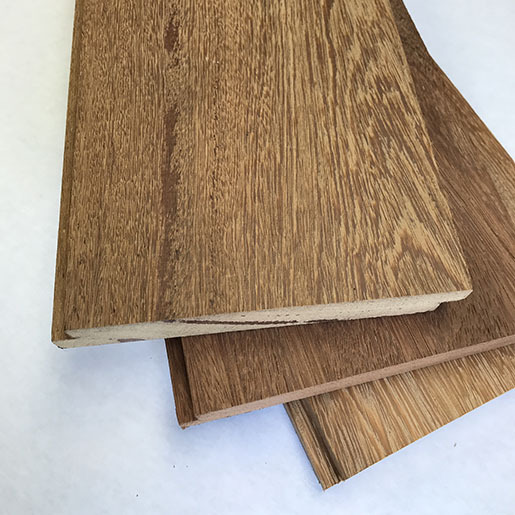 Angelim Pedra is commonly used in industrial applications as well as for exterior residential decking. It is naturally durable and economically competitive to other industrial woods such as Keruing / Apitong. First Clear grade material is color matched in most species of wood. 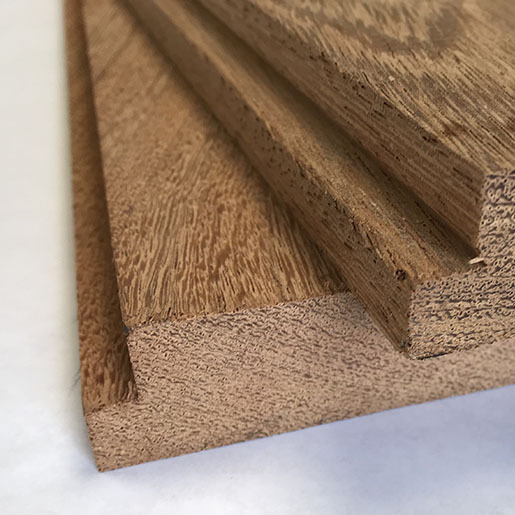 This is the highest grade available in decking items. No open defects are allowed on at least one face and material is 100% heartwood. Small tight knots, occasional pin holes, and other small, non-structural defects are allowed on the back side and edges. Shiplap boards typically have a 3/8" lap so that they interlock when laid across a trailer bed. 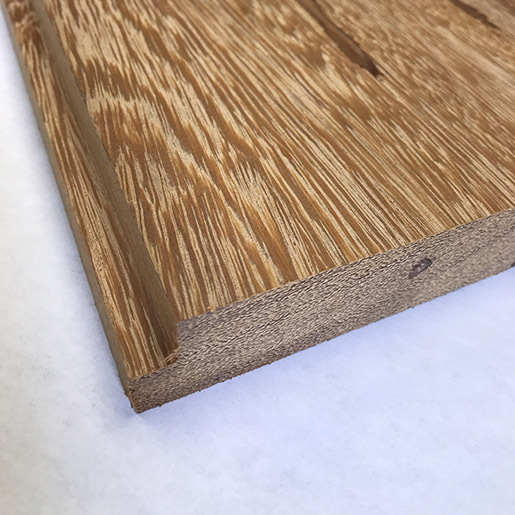 Lengths run from 8' to 22' to the nearest foot in both even and odd increments with approximately 1" over length.We now offer trailer deck screws and oil based finishes designed for high density hardwood exterior decking. Complete your next project with OEM QUALITY materials. We can help!